The World Championship for KZ class held on a single event in Wackersdorf (Germany) ended with an unlucky final for our colours. The early stages of the KZ World Championship were positive. In particular, Jordon Lennox-Lamb signed the fourth position in the qualifying heats and finished the first heats at the top positions. Also positive were the qualifying heats run by Pedro Hiltbrand, in the top ten positions as well. In the heats the excellent performance of our drivers have been also highlighted by two best laps, recorded by Lennox-Lamb and Matteo Viganò. In the final, Lennox-Lamb was immediately involved in a collision that made him slip from the seventh row to the bottom of the group, forcing him to perform a comeback which took him to the best lap of the final (47,366). Marco Ardigò’s competition was difficult, our driver actually jumped from the nineteenth position and tried a difficult comeback on a track not allowing easy overtaking. Marco finished the final tenth, preceded by Pedro and followed by Jordon. 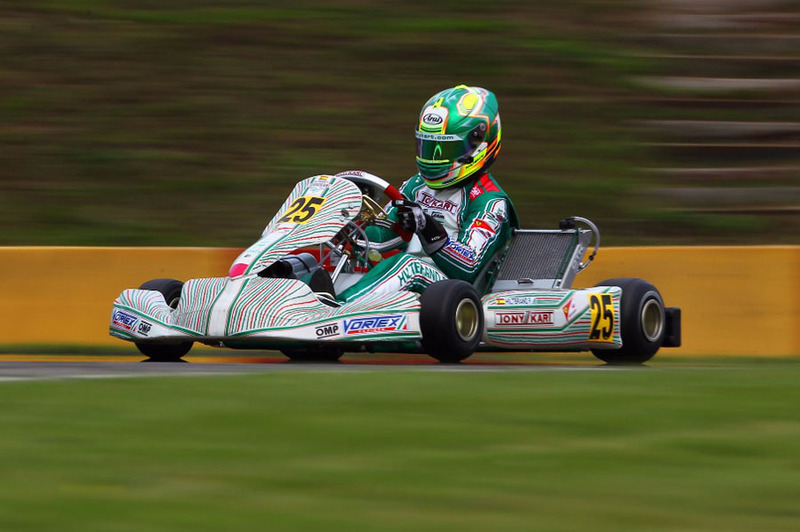 In the International KZ2 Super Cup, that took place in parallel with the World Championships, Alessio Piccini ran the heats in the top 10 positions, earning the fifth row in the grid. In the final, Alessio performed a race in the fight, finishing in thirteenth place.